Andrew Burton/Getty ImagesAmy Schumer has been an outspoken advocate for gun control. 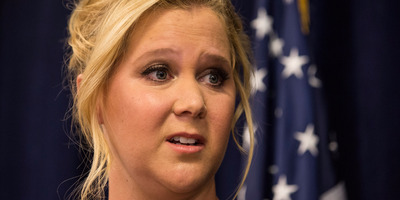 Ever since a deadly shooting at a showing of her movie “Trainwreck,” Amy Schumer has been an outspoken gun control advocate. Now, in the wake of the mass shooting in Orlando, Schumer released a cut sketch from her Comedy Central show, “Inside Amy Schumer,” that takes on the issue once again. The fake TV commercial features a fictitious law firm that tries to help victims of gun control — but there’s really nothing they can do. 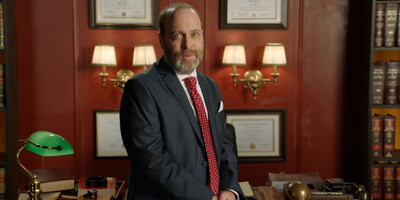 “Hi, I’m Toby Shrak of the law firm of Shrak and Murphy — but don’t call me, because there’s nothing I can do,” Shrak (played by H. Jon Benjamin) says. Comedy CentralThe sketch takes on the fact that laws favour guns over people. It also lampooned the sentiment that gun laws seem more in favour of manufacturers and gun owners than of victims of gun violence. “I tried to sue the manufacturers of a hollow-tip bullet that was designed to inflict as much pain as possible, but current law makes it impossible to sue for damages. I even had to pay the ammo company’s legal costs,” one victim says. This isn’t the first time Schumer has taken on the topic. In 2015, she hosted “Saturday Night Live,” and delivered a blistering sketch about guns. Earlier in June, it was announced that Schumer would be cutting a scene involving a gun from her upcoming movie. She’s also fought for gun control in the halls of Congress.